The Brazos Valley Chorale is a non-profit, 501(c)(3) organization which pursues its commitment to excellence in choral music of all types. Today the Brazos Valley Chorale provides audiences in Bryan/College Station, TX with performances of great choral music at the highest standards. The 100-voice Chorale is known and respected for its difficult and ambitious repertoire of great choral masterworks and contemporary classics. The singers form a cross-section of the community, from college students to retirees. Our Vision: The Brazos Valley Chorale is viewed as an important contributor to a high quality of life in the Brazos Valley community. Our Mission: The Brazos Valley Chorale brings together passionate singers of varying ages and musical backgrounds to perform and to foster an appreciation for high quality choral arts in our community. Our History: The Brazos Valley Chorale was founded in 1969 as the Community Singers after a successful collaborative concert demonstrated a desire for such an organization. Its founding members envisioned a community choral group to fulfill a cultural need expressed by many singers and musicians residing in the area. The Chorale’s outstanding record of achievement has expanded the audience of choral music and contributed to the growth of the arts in Central Texas. Over the years more than 1700 singers have participated in our concerts. The ensemble has grown from a handful of dedicated volunteers to an auditioned choir of 90-120 musicians, from which soloists and small ensembles are selected as needed. 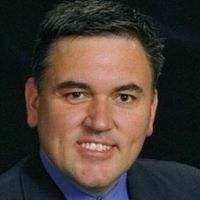 Don McAvoy holds a BA in Music from Southwestern University in Georgetown, TX where he studied choral conducting with Dr. Kenneth Sheppard; and his Masters degree is from Luther Seminary/ St. Olaf College, St. Paul, MN where he studied choral conducting with Dr. Anton Armstrong and Dr. Robert Scholz. Don has studied church music with Jane Marshall and Dr. Michael Hawn at SMU and with Dr. Paul Westermeyer at Luther Seminary and Dr. John Ferguson at St. Olaf College. Most recently, while serving at Kerrville’s First United Methodist Church, Don was the Facilitator for the Hill Country Youth Orchestras, Conductor of the Grand Chorus for the Symphony of the Hills, and the featured soloist for the Hill Country Chorale. He is an ordained deacon in the United Methodist Church and is married to Michele and dad to Alexander. In June, 2017, Don completed the training as a Court Appointed Special Advocate (CASA) and volunteers with Brazos County Voices for Children. He is currently a Benefactor Relations Officer for Methodist Children’s Home in Waco. Born in Setubal, a suburb of Lisbon, Portugal, Miguel Sousa began his musical studies in the Academy of Fine Arts Luisa Todi in his town. Between 2006 and 2007, he attended classes with Daniela Ignazzitto. In 2010, Miguel completed a Bachelor of Music in Piano Performance at Evora University under both Professors Elizabeth Allen and Antonio Rosado. Miguel has just finished a Masters degree in Piano Performance at Central Michigan University, where he was awarded a full graduate assistant scholarship. In 2009, Miguel began building his name on a professional level by giving his first solo recital in Portugal. Since then, his desire to perform solo recitals has only intensified. He has since given recitals in Sweden, England, Italy, and in the USA. Miguel adds a special flavor into his recitals by speaking directly to the audience about the pieces he is performing and why they are significant not only to him, but also to the music world. 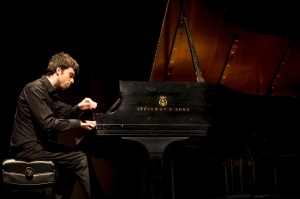 He is able to verbally connect the audience to each of his pieces before performing. Miguel adds these explanations to his programs so that all of his listeners, musically trained and other will be able to fully appreciate the experience. In addition to Miguel’s experience as a soloist, he has worked extensively as an accompanist. His accompanying experiences range from coaching beginning vocalists through advanced instrumentalists. Additionally he has worked with both small ensembles, such as a piano trio, and large ensembles as well. His large ensemble experience includes working with the Luisa Todi Choir in Portugal. Effectively, he has been involved in many accompanying recitals and competitions. Miguel has also been advancing his musical skills by serving as a staff accompanist for various conservatories in Portugal. Miguel is also serving as the accompanist for Texas A&M’s Century Singers and Women’s Chorus.